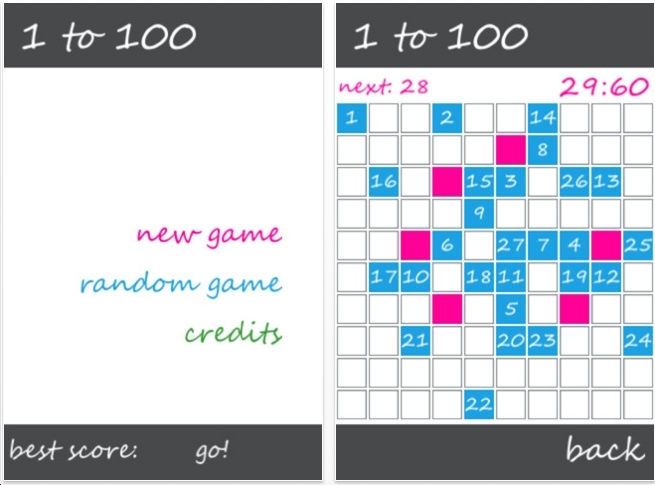 One to 100 is very similar to the classic puzzle the Knight's Tour, where the objective is to move the knight to every cell on any n x n chess board. For this game, the rules are different. If you want to go vertically or horizontally, you must jump over 2 squares. If you want to go diagonally, you must jump over 1 square. 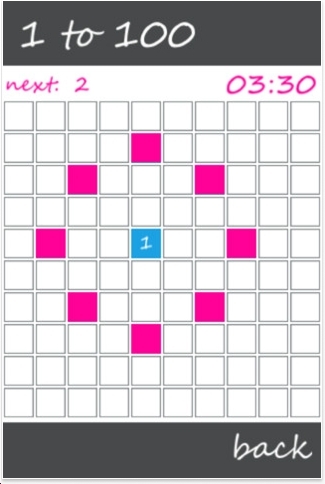 This game reminds me of another puzzle app from about 2 years ago. It's buried here in this blog of 650 entries. 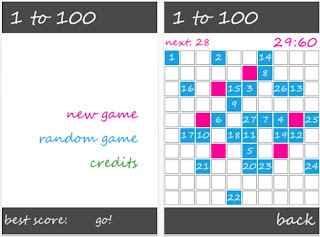 To find this game on the app store, type in One to 100 not 1 to 100.